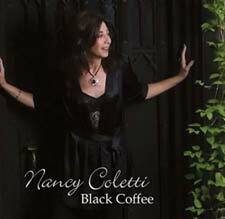 Nancy Coletti will be making a special guest appearance with Blues guitar sensation Eric Stekel at Havana New Hope. Show time 8pm to 10pm. Backing up Eric on keyboards will be writer, arranger, producer Robert Sands of Sands Multi Media. Catch Eric Stekel at Havana's tonight and at Musikfest Saturday and Sunday! Thursdays 8/16 and 9/20 from 6:30 pm to 9:30 pm. Sit back and enjoy music from the Great American Songbook, and classic pop standards. Come hear Cole Porter, Gershwin, Rodgers and Hart, Jerome Kern, Oscar Hammerstein, Mercer and more. 8/17, 8/24 from 7:30 p.m.-10:30 p.m.